- All new users now get the new Custom Audio library by default! - Moved 'Custom Audio library' settings into 'Metadata' settings category. - Added option to view Genres as 'Grid'. - Centered the text of the bottom minimized Now Playing. This can changed back in 'Minimized Now Playing' settings. - Added option to add extra space at the bottom of Now Playing page. - Minor fix to 'Dominate UI' in Album page, and landscape Now Playing page. - Tried to improve performance of 'Adaptive UI' Now playing background for some users. - Bugfix with Playlist import. Could cause some tracks to not be imported. - Single Playlist import are now done in the background to prevent freezing. - Added option to reduce the size of the cover in the bottom minimized Now Playing. - Added option in Now Playing settings to disable the gradient of 'Dominate UI'. - Added agressive scanning, when enabled BlackPlayer will scan more frequently in the background (for the new Custom Audio library). - Updated sorting of Tracks by Artists. Now sorts by album and track position after sorting by Artist. - Plenty of bugfixes for the new Custom BlackPlayer audio library! 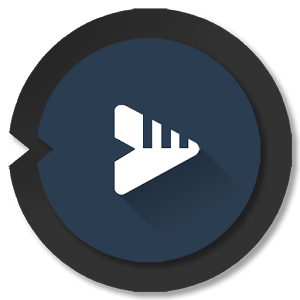 NOTE: If you experience difficulties with downloading BlackPlayer EX 20.42 build 294 Final APK from given links below, please try to login first to those file hosting before download (it's free to create an account), make sure to uncheck "download with addons" or similar, if any.